Lt. Colonel Charles A. Glover: Graduated Mississippi state College in 1938, joined Eastern airlines and transferred within the company to Houston in 1940. Joined the AAF in 1941. LTC. 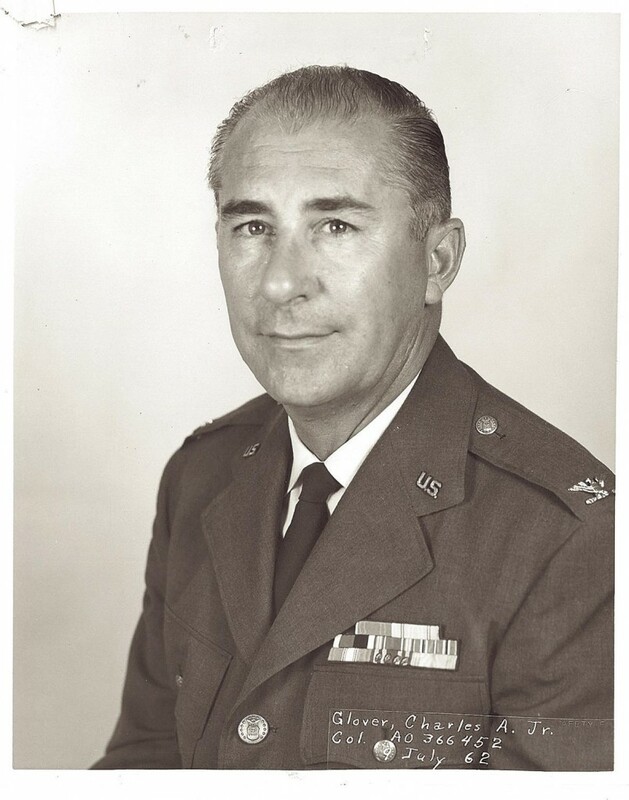 Glover served during WWII and was in charge of aircraft distribution throughout the United States and the Lend Lease aircraft program during the war and was later on General HAP Arnold’s staff at Wright Patterson Air Force base. He also helped in the reconstruction of the Rheinmein Air base in Germany and was recalled during the Korea war, served in Germany. He was discharged in 1946.
in 1946, he rejoined Eastern Airlines, becoming Assistant Traffic & Sales Manager for Eastern Air Lines in Atlanta, and then Traffic & Sales Manager for Eastern Air Lines in St. Louis by 1948. June 1948.